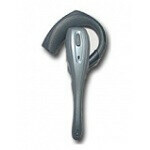 HBH-30 is currently the latest Bluetooth headset in the SonyEricsson fleet of wireless headsets. It is also the first headset designed by the combined forces of Sony and Ericsson. Its successor  the HBH-60 should be available soon, but at the time I write this review it is still on pre-order. Even though Bluetooth devices are still in their infancy, I am very pleased so see more and better quality headsets being offered by well known companies like SE. In my opinion, right now there is a tie situation between two of them  the HBH-30 and the Jabra Freespeak.